I used this lesson with middle school pre-intermediate and intermediate students. 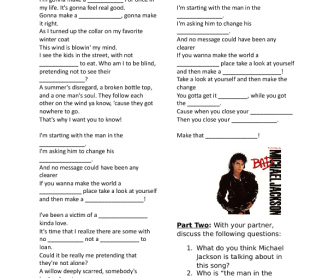 The worksheet has three parts, the first is a lyrics gap-fill to get students familiar with the lyrics. 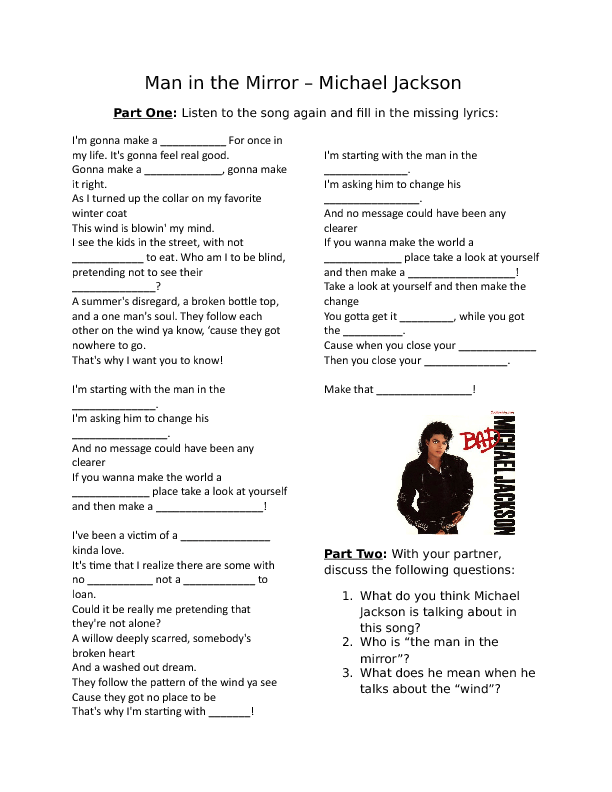 Part two asks students to discuss five questions in pairs or small groups. Part three asks students to collaborate and brainstorm a list of global or national issues that they find important, and some basic ways to help solve them. In the second class, I used an extension activity in which I asked students to make a poster, draw a comic, write a letter or draw a picture about an issue they think is important and how they, as an individual, can work to "make a change".